For years, car owners are looking for ways to get the perfect shine for their vehicles. They want their car coating to be able to repel dirt, rain, and other environmental contaminants, and at the same time make their vehicle stand out among others. And that’s where we come in. We are the top car coating Malaysia Company that provides world class products and services. 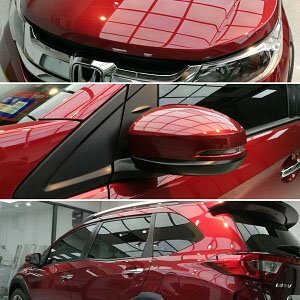 We are the car coating company to go to whenever you need Modesta glass coating Malaysia products and services. We offer Glass Coating products that utilises nano technology to come up with a durable, shimmering lustre. 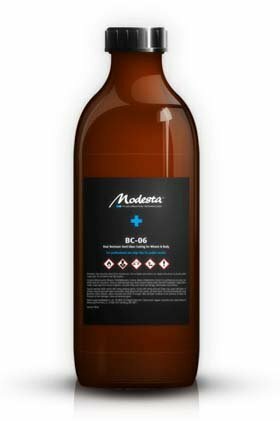 We are the authorised detailer of Modesta Advanced Liquid Glass and Protective Glass Coating in Malaysia. We have the experience and knowledge to prep the paint for application. 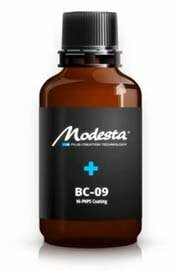 Modesta Nano coating provides a strong, protective surface to your car’s body. It can block all foreign materials, and prevent them from damaging the car. While on the road, the car has to endure different attacks that can lead to scratches. The nano coating makes sure that the original coating of the vehicle is protected by a layer that was designed to withstand a lot of damage without affecting the appearance of the car. 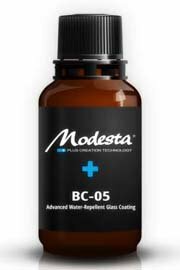 Modesta Glass coating is also more durable than ordinary paint when it comes to protecting the surface of the vehicle. The nano coating will not wear off over time when exposed to bird droppings, acidic elements in the air, and the weather. By employing our car coating Malaysia services, you make your car stay cleaner longer. There are no tiny pockets for dirt to sink into. Not only that, the surface will be even and smooth. Dirt will just slide off the surface. As a result, the nano coating will leave the surface in its pristine condition for a long time. You don’t need to buy car wax anymore. The surface of your car is more protective by the Modesta nano coating because it doesn’t wear off. Wax wears off and needs to be reapplied several times in a year. That is not the case with Modesta nano coating. We provide the most cost effective solution to protecting your car’s surface. With our Modesta glass coating Malaysia products and services you can save a lot of money. There’s no need to apply wax every three to four months. Modesta Nano coating is guaranteed to last a lifetime, and that means there’s no need to apply wax for the rest of your car’s life. The best thing about Modesta nano car coating is that it looks good. 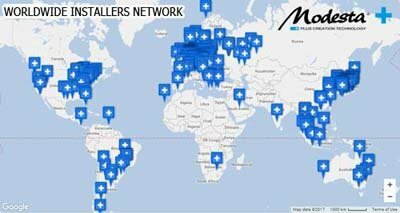 That’s why car enthusiasts choose Modesta nano coating over other options. The coating provides a shiny exterior that remains glossy for a long time. Plus, it helps protect the surface from the daily wear and tear of travelling on the road. 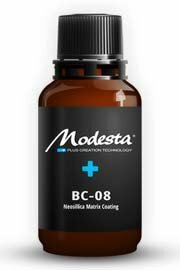 Advantages of Modesta Car Coating in Malaysia. Now, the truth is that windscreen glass coating as well as ceramic coating in Malaysia is something which provides your vehicle with a tremendous amount of benefits. Of course, there are quite a few things that you might want to take into account, but if you make use of our comprehensive ceramic quartz technology MODESTA, you will most certainly find it more than just convenient. There is a tremendous amount of advantages that stem from it, and you will certainly be happy enough. So, let’s go right ahead and take a look at the benefits for your vehicle from the product. This particular product is far more superior to others. 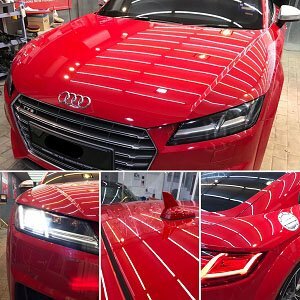 The quartz car coating in Malaysia is going to provide you with unmatchable paint protection as well as gloss level, durability as well as chemical and scratch resistance properties which are tremendously appropriate. With this in mind, you can rest assured that your vehicle is going to be firmly protected from the harmful exposure to the sun which could dampen the appeal of the paint job. You can also rest assured that you won’t have to experience the scratching of debris and other road burdens. That’s just it – the car coating in Malaysia provides the vehicle with an extraordinary finish as well as a candy-like gloss which is going to make your vehicle stand on top of the rest on the road. Of course, there are also certain things that you might want to take into proper consideration. Right off the bat, you should understand that this particular coating needs to be applied only by a professional. This is particularly important if you want to ensure that you don’t damage the appeal of your vehicle. It’s something that you need to understand in advance. Do not cheap out and try to handle it DIY style as you are most definitely going to suffer as a result. If you are looking for a superior finish and particularly effective coating of your vehicle, you have definitely stumbled upon the right place. 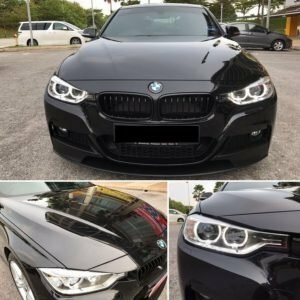 This particular MODESTA car coating in Malaysia is going to ensure that your vehicle resists the majority of the issues which are contaminating the exterior appeal of your vehicle. You need to understand that this is going to ensure that your paint job is resistant to certain issues such as bird droppings, which are particularly notoriously known for being rather harmful. This is something that you need to understand. Car coating Malaysia has become very popular in the last few years. When car coatings were first introduced, they were only available to authorised professionals. While this is the cause of some exclusive products, there are many coatings that are available to consumers. There are different car coatings available, including paint and glass coating Malaysia. Each car coating offers its own benefits, which means that you need pick the right coating for your vehicle. There are overall benefits to using paint and windscreen glass coating Malaysia. Here are just a few of the benefits of using these car coatings. The main reason why many people use a car coating Malaysia is that they offer protection and increase the durability of your car’s paint and windscreen. Many times, a coating will last several years and will protect your car’s paint from UV damage during this time. They can also protect your car from birds, hard water, and other elements that could damage your car when you are driving. Some coatings are also chemical resistant, which makes them a better option for drivers living in cities. Most clear coats are sensitive, and you can have swirls and marring after just a few washes. Most times, paint coatings are harder than clear coatings, and the improved hardness can protect your car from these swirls. It should be noted that paint coatings can still be scratched, but they can reduce the look of light defects. This means that you do not need to polish your car regularly. We all know the feeling of having your car washed and waxed, and it is covered in a layer of dust within just a few hours. Car coatings are resistant to dust and dirt, so your car will stay clean longer. This can save you a lot of time and money on car washes. Cleaning your car is also easier because you can just wipe the dirt off. Some coatings are also hydrophobic, which means that your car will repel water. This helps with drying and when it is raining since the water will just slide off of your vehicle. Most coatings are resistant to contamination. This helps reduce the amount of times that you need to clay your vehicle every year. Most people are used to having to apply a polish to their cars every few years to remove water spots, swirls and other tiny defects that could have happened. This polishing can remove a thin layer of clear coat. The extra thickness of the paint coating will protect your clear coat and will reduce the amount of coating that is removed when you are polishing your car. It also helps reduce the amount of polishing that is needed because there are less tiny visible defects. Car coating Malaysia has become very popular, so more options are available now. If you are thinking about having a car coating applied, you should speak with a professional to make sure that you are using the right coating for your car.